This sign was imported from China and mounted on the Kong Nam Low Restaurant located on the west side of in Nanaimo's Chinatown. The gold-painted Chinese characters read "Kong Nam Low" in Cantonese. Kong Nam means south of the river and Low means teahouse. 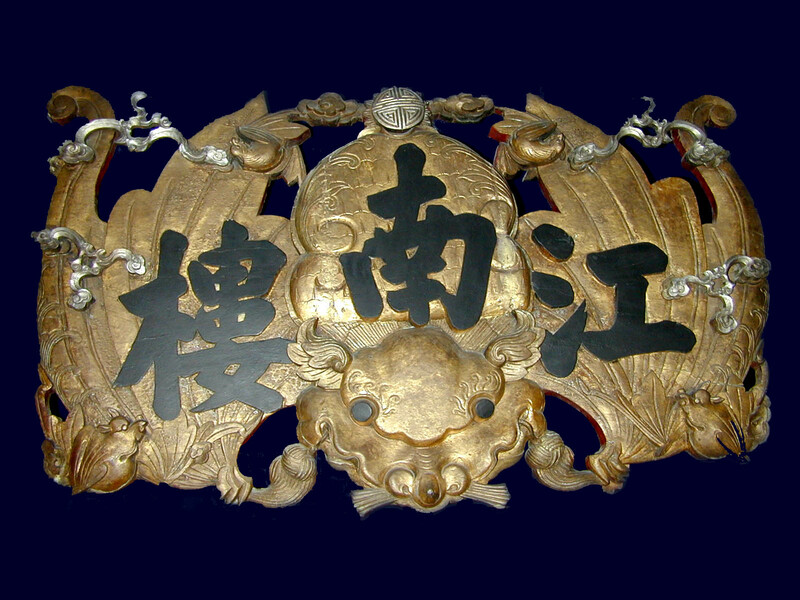 The sign is in the shape of a bat with four smaller bats attached which convey the good luck wish "May the five heavenly rats visit your home." The second word of bat in Chinese shares the sound of the word 福, the word for blessing so bats became a common decorative pattern. The symbol at the top of the sign means longevity. The restaurant was owned by Ah Thom from Pon Yue.